I have stated many times throughout my discussions of the Boston bombings that I believe the mainstream media and the details from the official investigation itself have fueled as much conspiracy theory as the “usual suspects” have created. Boston has been notable in the realm of conspiracy theory in how so many people who are not conspiracy theorists have begun to think something is being hidden and that we are being manipulated, or at the very least that everyone involved in the case is incompetent. They have very good reasons for thinking this way because the media handling of the case and the investigative decisions have been a complete mess. My article on the “Alex Jones-ification of the Mainstream Media” showed dismay at the original reporting in the case and, when I wrote it, I thought we had seen the nadir of the misreporting but I was wrong. Even worse, I was completely unprepared for the official investigative statements that seem to be making everything worse. At this point, anyone paying close attention to the details of the case should be having a hard time believing much of any official narrative about Dzhokhar Tsarnaev’s role in the Boston bombing, his role in the various shootouts in Watertown and the confession he allegedly gave federal interrogators. One of the reasons I cannot throw my hat emphatically behind Dzhokhar Tsarnaev as a bomber is because none of the evidence that the government claims to have proving he planted a bomb has been seen by anyone who spoke to the press and because the eyewitness identification that led the FBI to identify the Tsarnaev brothers is shaky at best. There are some who think that the FBI doesn’t have a tape that shows Dzhokhar planting a bomb and their suspicions are very much an element of the “Dzhokhar Was Framed” theory. Let’s begin discussing the whole mess with Deval Patrick, the governor of Massachusetts. While I have no way of knowing if there is a genuine tape that shows Dzhokhar Tsarnaev depositing the bomb, the one person who has described the tape has not seen it. In an interview on April 21 on the NBC program Meet the Press, Governor Patrick was asked about the tape that allegedly shows Dzhokhar placing the backpack that contained the bomb on the ground. Before he ever answered the question, Gov. Patrick stated he had not seen the tape, that it had been described to him. He then went on to discuss what he had been told about the tape. It’s strange that Gov. Patrick describes a video he has not seen as being “pretty clear” and “pretty chilling” that Dzhokhar performed a set of actions. The above quote from the interview made it into dozens of news articles that all seem to have missed that beforehand Gov. Patrick says he has not seen the video. Later articles may have included the fact that Patrick had not seen the tape, but many originals still stand uncorrected, as my links to news articles should show. He added, however, that he hasn’t viewed all the tapes but had been briefed by law enforcement about them. That’s not what happened. Gov. Patrick tells them right out of the gate that he only had the reports of others who allegedly had seen the tape. It was not added at the end of the description as some sort of caveat. While I can question as to why Gov. Patrick saw fit to discuss a tape he had not seen, the fact remains that he was clear he had not seen it. Yet the press, when it bothered to report that he hadn’t seen the video he was commenting upon with authority, place the admission after the video description as if he stated it as an afterthought. What this means is that those who did not see the actual video of Gov. Patrick and who do not land on an article that explains he never saw the video he commented upon, have it from the mouth of the Massachusetts governor that he has seen the video of Dzhokhar dropping off the bomb, failing to react when the bomb went off and that it is all “pretty chilling.” The end result is that if people rely on this information, they can now be certain that it is “pretty clear” that Dzhokhar is guilty. The US Attorney General’s office now has a pretty solid mandate from American people who are convinced Dzhokhar is guilty because Gov. Patrick was not quoted properly about a tape he had not seen. I am often of the opinion that there is no sense in assigning to malice that which is most easily explained by incompetence. The world press showed a shocking lack of competence in how they reported on almost every aspect of the Boston bombing case. I also tend to think that Gov. Patrick was repeating what he had been told in good faith and that the resulting misinformation believed by many people is just a lucky accident for the morally bankrupt Carmen Ortiz. But I can’t debunk the idea that perhaps Gov. Patrick’s blithe statement to the press was planned by the FBI or the US Attorney General’s Office, possibly making him a patsy of sorts, as well. There has been a complete depletion of trust capital in the Boston bombing reporting and investigation, so complete that a skeptic like me looks at the situation and wonders if there may be no video and that the FBI is trying to deceive us. All of this could be solved if the FBI would show the video. It is, on some level, irrational for the American public to expect to know all the elements of the official investigation. I have mentioned before that it is ridiculous to have expected the FBI to have released a transcript or video of their interrogation with Dzhokhar (a whole other layer of trust capital erosion and possible Constitutional boondoggle I will get to soon). I’ve seen others speculate that the videos are being withheld to enable the feds to assemble a jury when the case comes to trial. But juror integrity is not the reason why the tape was not initially released along with the other surveillance videos that show the two brothers walking along sidewalks, Dzhokhar behind Tamerlan. The FBI did not release the video because, and I swear to heavens I am not making this up, they were concerned about the bombers’ safety if it was made public knowledge. While video of at least one suspect planting the bomb exists, the FBI had chosen not to release it, according to the official. One reason, according to the official, is that were the media to repeatedly show the suspects leaving the bomb, it might cause some people to overreact if they came into contact with them. The FBI told us outright what the videos contained and describe the two men as being unspeakably callous – just walking away casually after they dropped off bombs that caused horrific carnage. They say they have a video of suspect # 2, Dzhokhar, leaving a bomb that killed a child, and they then say that showing us the video of Dzhokhar leaving the backpack with the bomb might cause people to overreact. And they say this after they have released videos of the two men carrying the backpacks they claim carried the bombs. Does this have the ring of truth to it to anyone outside the credulous media hacks reporting it? Perhaps there are compelling reasons that we have not been shown this video, but I can’t think of any and the FBI is not providing any. 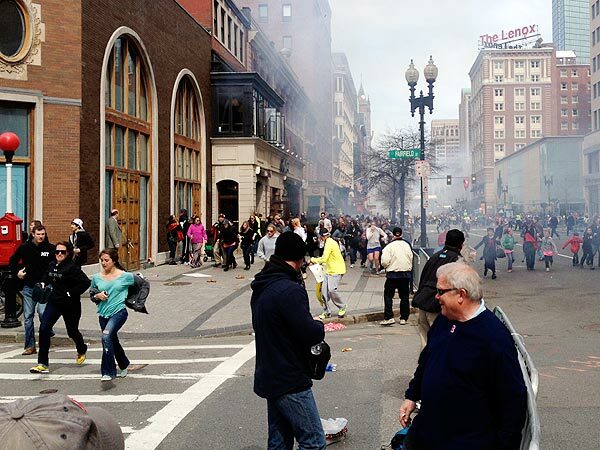 It’s all the more baffling because the David Greene photo, which I discussed in my backpack theories analysis, shows clearly that Dzhokhar was not standing around watching the carnage. He was running away from it with other people. People got lost in analyzing pixels to see if a backpack was edited out of the picture and seemed to lose focus of the fact that the picture gives lie to the official story of a video showing Dzhokhar standing around and watching the horror he allegedly wrought. I am not prepared to say that the videos the FBI says they have and will not release do not exist. I do think we have to wait and see if they are introduced as evidence in the trial and if they aren’t, I will be more than happy to say that the FBI lied, lied, lied to the American people. One of the things that we know about memory for very upsetting experiences, traumatic experiences, is that the memory does not work like a videotape recorder. You don’t just record the event and play it back later the way a videotape player would work. The process is much more complicated, and actually what’s happening is you’re storing bits and pieces of the experience. Later, when you try to tell somebody what happened, you are in some sense reconstructing that experience, you’re piecing it together and essentially telling a story about your experience. Unconscious transference is a general term that refers to the mistaken identification of a person, who was seen in one situation, with a person who was seen in a different situation. You confuse people–you think you saw this person here, when you actually saw him over here. In a case where a victim goes, looks at some photographs, later on goes to a lineup, sees some individual standing there, sometimes people will recognize somebody in the lineup, make an identification, but they’re making that identification, he looks familiar because his photograph was seen earlier, not because he was the person who committed the crime. That is a kind of an unconscious transference. 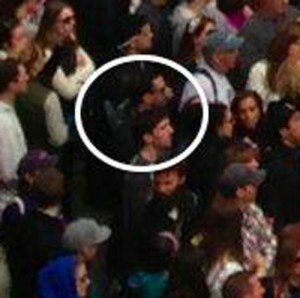 Bauman was in a crowd with many other people before the attack. This picture is from approximately 8 minutes before the first bomb went off. Note the man to Bauman’s left. Has a backpack, is wearing sunglasses but no cap, and bears a resemblance to Tamerlan even down to the jacket he is wearing. Look at all the other men around him in ball caps. Look at how tight the crowd is. And note how many people Tamerlan would have had to nudge and squeeze around to drop the bag next to Bauman, and yet Bauman was the only one who thinks he saw him. Again, I cannot emphasize this enough – I do not think Bauman is a plant and I do not think he is an actor and I do not think he is lying. I don’t think Bauman is knowingly a part of any conspiracy nor is he anything other than a young man who was nearly killed because he watched his girlfriend run a marathon. I am simply looking at the picture, remembering what I have read about eyewitness identification and memory and seeing the possibility for error. I need to emphasize that eyewitness testimony is sometimes valuable. Loftus herself does not completely rule out its usefulness in criminal investigations. But surely the FBI knows how unreliable eyewitness testimony can be, and they surely know how unreliable anything coming out of the mouth of someone fresh out of surgery can be (more on this in the Dzhokhar interrogation analysis). While the analysts combed through videos frame by frame, a more traditional tip was developing two miles away at Boston Medical Center. Jeffrey Bauman, groggy from anesthesia, his legs just removed at the knee, managed to eke out a request for pen and paper. FBI agents quickly came to Bauman’s bedside. A man in sunglasses and black baseball cap had walked right up to him, placed a black backpack on the ground and stepped away, Bauman remembered. His tip became a critical lead, according to law enforcement officials. Groggy from anesthesia… That alone should be ringing some alarm bells. It wasn’t an FBI case agent who had been interviewing the Tsarnaevs who managed to isolate the brothers in the films they claim they have of them placing the bombs. The face identification software didn’t narrow the list of potential terrorists at the scene. The FBI didn’t even sort through the information themselves to find the “pretty chilling” footage. Rather a man who had been in a large crowd prior to the bombing, who lost his legs, who woke up from an amputation, still fuzzy from anesthesia, wanting to talk, and found FBI agents all too willing to use his identification is the one who cracked the case. There’s a chance that the video exists of Dzhokhar dropping off the bomb and the FBI has reasons for not revealing it yet. There’s every chance that Bauman may have made a righteous identification of Tamerlan. 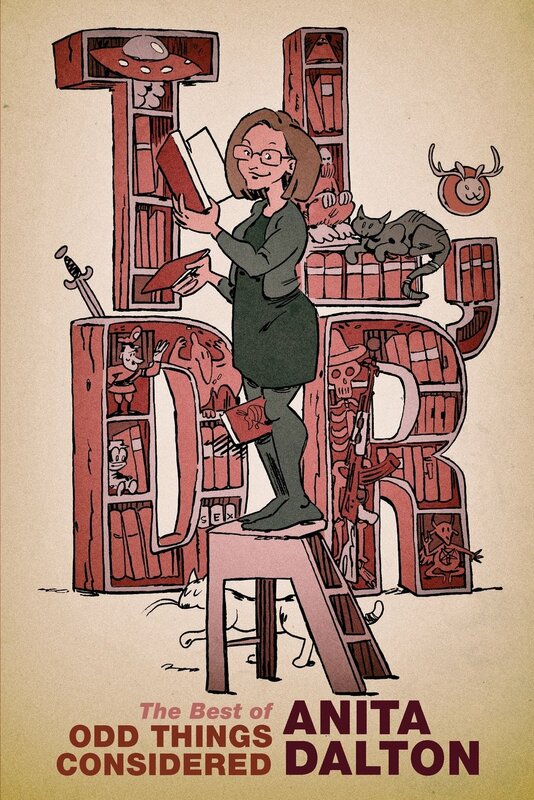 There’s every chance that this is exactly as it is being portrayed. Increasingly, however, those chances seem less and less likely. As it stands now, everything that the FBI and the media have done in regards to the initial identification of the Tsarnaev brothers makes me uneasy. The way the investigators have spoken of and handled the “proof” they have in the case is strange and should make anyone who has followed the news and has an understanding of how memory works in traumatic situations uneasy. And it has all served as part of a conspiracy theory that asserts Dzhokhar Tsarnaev was framed. I will update this entry as needed and please check back soon for more Dzhokhar conspiracy theories. So many of these discussions leave me wanting to comment ‘these bring up huge amounts of doubt, except for the brother’s behavior before and during their capture.’ But after learning that no one outside the FBI has seen this incriminating tape, it makes all this speculation seem so much more valid. I doubt this tape is completely fictional, but the continual refusal to release it with no reason makes me wonder if it shows what they claim it dose. Will one of these sections talk about the death of the police officer and weaponry they had? It’s circumstantial but right now that is the most compelling evidence I have seen in this case. If not for that I would honestly think they got the wrong suspects, but now one is dead and the other has a great many people out for his blood, so backpedaling at this point would be a disaster. Thank you so much for doing this series; I keep wanting to comment but it’s very hard to write about one aspect without flowing into another, writing it all out has got to be murder. Hi, Ren. Thanks so much for this comment. Oh yes, I will definitely be discussing the shooting of the MIT officer and all the events in Watertown, including the Kitzenberg photos and what they show about the weapons the brothers may have had. I’m still reading and reading and reading but I think it will happened this week. Or at least I hope it will. I understand how it all flows into something else. I keep having to make parenthetical asides (“this brings up X, Y, and Z, which I will get to later). But please comment when you feel the need and thanks so much for reading! Ms Dalton, I fear this is my fate if I don’t get my trolling heart under control and reveal my true self – a man who just wants to braid the hair of war orphans. I can’t stop thinking about that single comment in the recent article about all this mess, “Why did the FBI ask for the public’s assistance in locating these brothers if they were on THE FBI WATCH LIST.” Indeed, why. And that question brings me back to the fact that they got the ID on the Tsarnaevs via Bauman’s drugged eyewitness testimony. Once on their radar via testimony, they STILL didn’t recognize them? That tests even the most credulous perspective. The way this appears to me is that either the FBI is so incompetent they need to be brought before Congress to explain themselves or Bauman’s ID enabled them to find two young men already on their radar and use them quickly as a “look, we found them through good old fashioned police work.” That doesn’t mean that the Tsarnaevs are not guilty but it certainly casts a dark light on the FBI’s actions in the investigation. I’m struggling to get through the Sean Collier entry because it’s so… weird and then I’ll be moving on to the carjacking/shootout in Waterford. The shootout is so bizarre to me. I have looked at the Kitzenberg pictures until my eyes crossed and I’ll be damned if I can see what he claims is happening, especially when he claims he saw a pressure cooker bomb on the ground. Even extreme close-ups are of no help. GAH!